Is there anything Marvel Studios cannot achieve? 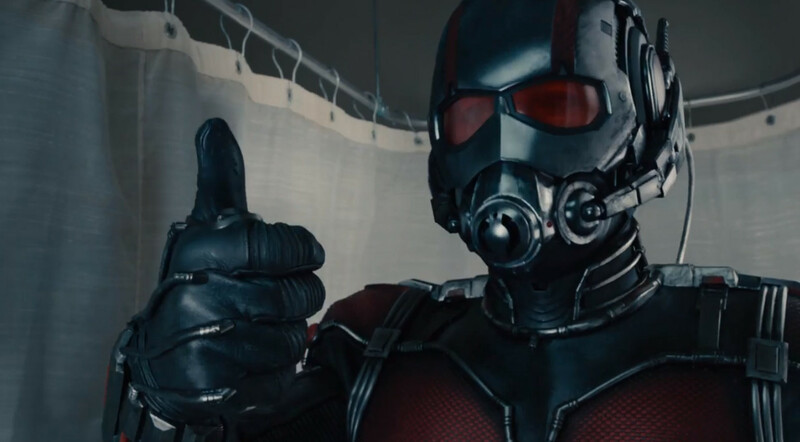 With Ant-Man the answer, at least for now, is an assured and confident “no”. Surprising and delighting audiences last summer with Guardians of the Galaxy, Marvel sought to repeat that success once again with another obscure, lesser known property…yet this time facing the unenviable task of following a highly anticipated Avengers sequel. Despite the exit of original director (and co-screenwriter) Edgar Wright, Peyton Reed’s Ant-Man successfully rises above those early production troubles, delivering an accessible, visually inventive and fun super-hero caper. Not unlike Chris Pratt in Guardians of the Galaxy, leading star Paul Rudd brings a healthy dose of comedic talent and likeability to Ant-Man as central hero Scott Lang, a character whose struggles as an ex-con and absent father provide the narrative’s emotional backbone. It helps that Rudd is surrounded by a great cast with a range of talents. Leading the charge is A-lister Michael Douglas whose largely straight-faced performance as Hank Pym (father of the shrinking ‘Pym Particle’ and the original Ant-Man) provides a neat counter balance against the hilarity of Lang’s heist buddy Luis (Michael Pena), the maniacal pantomime evil of villain Darren Cross (House of Cards’ Corey Stoll) who seeks to ‘weaponise’ Pym’s work and the strength and determination of Pym’s daughter Hope (The Hobbit’s Evangeline Lilly). It’s probably unsurprising that there’s a great deal of humour in Ant-Man and it feels appropriate given the premise of a shrinking super-hero able to command an army of ants. The incredulity and bewilderment conveyed by Rudd’s performance (melded with some precise comic timing) aides in retaining audience investment and fosters a willingness to accept the outlandish and simply enjoy the ride. Amongst the humour and occasional moments of drama (primarily played out via Lang’s afore-mentioned troubles and an emotional rift between Hank Pym and his daughter), Ant-Man delivers some wonderfully inventive action sequences, where the ability to shrink and enlarge at will is utilised to great advantage. Coupled with the lavish visual effects that are part and parcel of today’s blockbusters Ant-Man really is visually striking at times and although it can evoke memories of Honey, I Shrunk the Kids it’s well realised, adeptly executed by director Peyton Reed and worth the extra premium of an IMAX 3D ticket. Although it functions as a standalone film and origin tale, Ant-Man does provide connections to the wider Marvel Cinematic Universe which as always are pleasing from a fan perspective yet not as numerous as Avengers: Age of Ultron and don’t feel too extraneous. If anything, what few connections there are would seem entirely necessary given that Rudd’s Ant-Man will be returning in next year’s Captain America: Civil War. With Ant-Man, Marvel have taken a potentially hokey super-hero concept and via the creative talent employed made it believable, enjoyable and fun with a good measure of heart. Whilst it may not be as solid or complex as Captain America: The Winter Soldier or as huge as the Avengers films it’s a worthy addition to the ever expanding Marvel cinematic pantheon. The bottom line: Ant-Man is a fun and action packed blockbuster ride with a great cast and bolstered by impressive visuals. Ant-Man is in cinemas now. Ready to go small…star Paul Rudd suits up in Marvel’s ‘Ant-Man’. Star Trek/Green Lantern is the latest of IDW Publishing’s Star Trek crossover events (with DC Comics), having previously delivered successful ‘team-ups’ with iconic comic book/science fiction properties Legion of Super Heroes, Doctor Who and Planet of the Apes. Whereas those previous mini-series have featured the original and next generation Star Trek crews, Star Trek/Green Lantern opts to focus on the more contemporary cast of the rebooted Trek universe depicted in J.J. Abrams’ Star Trek and Star Trek Into Darkness. 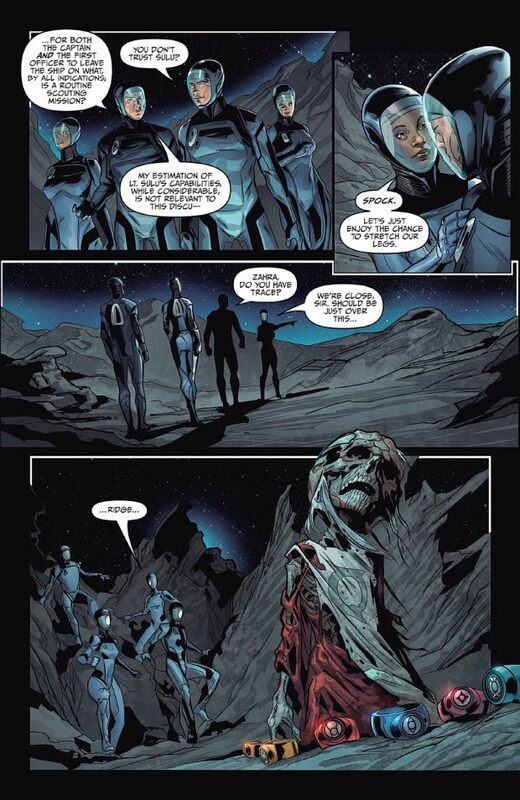 Written by Mike Johnson, the opening chapter of The Spectrum War gives readers a tantalising glimpse into a potentially exciting and epic comic book crossover as events are precipitated by Kirk and Spock’s discovery of the corpse of – unbeknownst to them – Ganthet, one of Oa’s Guradians. Granted, this premiere issue provides a lot of setup and focuses heavily on the Trek universe but Johnson’s script incorporates enough intrigue, excitement and links to DC Comics’ Green Lantern that, although ultimately there are few surprises, fans of both franchises will find pleasing. Johnson is no stranger to Star Trek having written many of IDW’s Trek comics and as always is true to the mythos of the franchise and faithfully captures the voices of its main characters. Whilst it remains to be seen how well he handles those elements of the Green Lantern universe (and in turn, how seamlessly the crossover plays out) the fact that this premiere issue manages to successfully integrate power rings, Klingons and a finale appearance from heroic lantern Hal Jordan (I’m certainly looking forward to seeing how he and Kirk ‘get on’ and certainly how the Enterprise crew handle the ramifications of being selected by a power ring) so joyously gives no cause for concern at this stage. Just as Johnson provides a solid script, Angel Hernandez delivers stunningly detailed art with decent character likenesses (and some striking images of the Enterprise) that, together with Alejandro Sanchez’s vibrant and sharp colours give the visuals a feature film quality that can often be lacking from such an ambitious project. Overall, a crossover between Star Trek and Green Lantern is a suitable match with both properties having similar narrative and visual components with their eclectic mix of strange new worlds, weird and wonderful life forms and a positive outlook for a better tomorrow, even in the face of whatever dark and dangerous threats the universe has in store. The bottom line: IDW has delivered a strong start to their Star Trek/Green Lantern crossover, which thanks to a quality script and luscious artwork shows a lot of potential. Star Trek/Green Lantern: The Spectrum War #1 is published by IDW and is available in print and digital formats now. Angel Hernandez provides the wonderful art in IDW Publishing’s promising ‘Star Trek/Green Lantern’ crossover. Like Arnie himself, the Terminator franchise refuses to stay inactive. Whilst James Cameron’s The Terminator and Terminator 2: Judgment Day are considered to be solid cinematic masterpieces, subsequent Cameron-less installments Terminator 3: Rise of the Machines and Terminator Salvation were found to be, well, lacking. Now arrives Terminator Genisys and with it the hopes of reinvigorating a beloved and valuable Hollywood property. Despite the torrent of negative opinion that has preceded the film’s release, Terminator Genisys is actually a fun, exciting and visually impressive science fiction blockbuster that is appreciably superior to Rise of the Machines and Salvation. Employing the Terminator franchise’s time travel concepts to good effect, Genisys serves as part sequel/part reboot as it takes its lead from Cameron’s films and creates a divergent timeline (a la J.J. Abrams’ Star Trek) where new stories can be told – “the future’s not set” as we were told in T2. It’s a device that also allows for some nifty twists and turns, some of which have sadly been spoiled in the film’s marketing (and diminishing the impact of one particular plot element). Whilst Terminator Genisys doesn’t hit the heights of T1 or T2 (nor would it ever have hoped or expected to be), for those prepared to go in with an open mind and realistic expectations, there’s still much to enjoy. Arnold Schwarzenegger reprises his most iconic role as the T-800 model Terminator, much as you remember him from those previous outings – stoic, resourceful and armed to the tooth. Affectionately nicknamed “Pops”, there’s subtle hints of warmth seeping from inside that cold metal exoskeleton as Arnie’s reprogrammed T-800 plays surrogate father and protector to Emilia Clarke’s Sarah Connor. It’s not quite as resonant as the relationship we saw played out in T2 but helps establish the emotional core of Genisys. Given the overly dour tone of Terminator Salvation, Genisys opts to incorporate a fair amount of humour that for the most part succeeds – not as well balanced as Judgment Day but, bar the odd moment, is less jarring than some of the silliness of Rise of the Machines. Game of Thrones’ Emilia Clarke presents a version of Linda Hamilton’s Sarah Connor that is somewhere between that of T1 and T2, melding elements of youthful naivety with that of battle hardened resistance fighter – allowing for some good interplay with Arnie’s “old, not obsolete” cyborg. Jai Courtney (unfortunate to have made his Hollywood break in the abysmal A Good Day to Die Hard) is surprisingly decent in the role of Kyle Reese, although lacking the grit and intensity of Michael Biehn’s turn in The Terminator (and the “special edition” cut of T2) it’s a take that feels appropriate in Genisys. Jason Clarke is afforded the opportunity to add new layers to resistance leader John Connor, whilst also conveying the familiar weariness and determination we’ve seen previously. There’s also another enjoyably creepy and haunting interpretation of the liquid metal T-1000, brought to life this time by South Korean actor Byung-hun Lee. Sadly, J.K. Simmons is given little to chew on in a semi-comedic role as a washed out L.A. cop and Dayo Okeniyi’s Danny Dyson isn’t given much presence either. The same could have also been said for Doctor Who’s Matt Smith (credited as Matthew Smith), yet his role carries more significance. Aided by a lavish production budget, director Alan Taylor (Thor: The Dark World) delivers some excellent CGI-infused blockbuster set-pieces in Terminator Genisys, from the opening future war battles of Los Angeles 2029 to the climactic showdown in San Francisco – it’s all as explosive and frenetic as today’s audiences would expect but never verges on nauseating. It’s also laudable that Taylor stages recreations of key moments of Cameron’s The Terminator with skill and reverence and coupled with references to Terminator lore peppered throughout there’s plenty for fans to be geeky about. The bottom line: Terminator Genisys is a decent stab at reinvigorating a beloved, albeit creatively mixed, franchise. It’s as fun and exciting as a modern Terminator film could hope to be and is well worth a look. Terminator Genisys is in cinemas now. 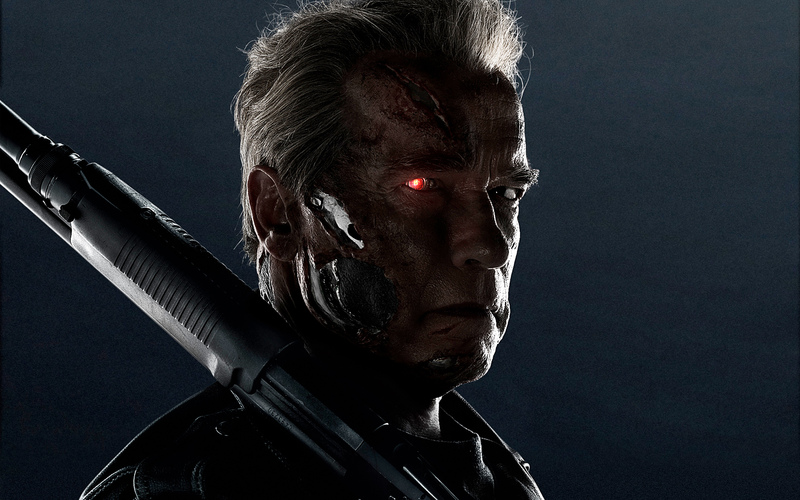 Back for more: Arnold Schwarzenegger returns in the enjoyable ‘Terminator Genisys’.